This is a genus of three species that feed on birches (genus Betula). Two species have been introduced to North America, where I have collected them, and the third I collected during a recent trip to Europe. 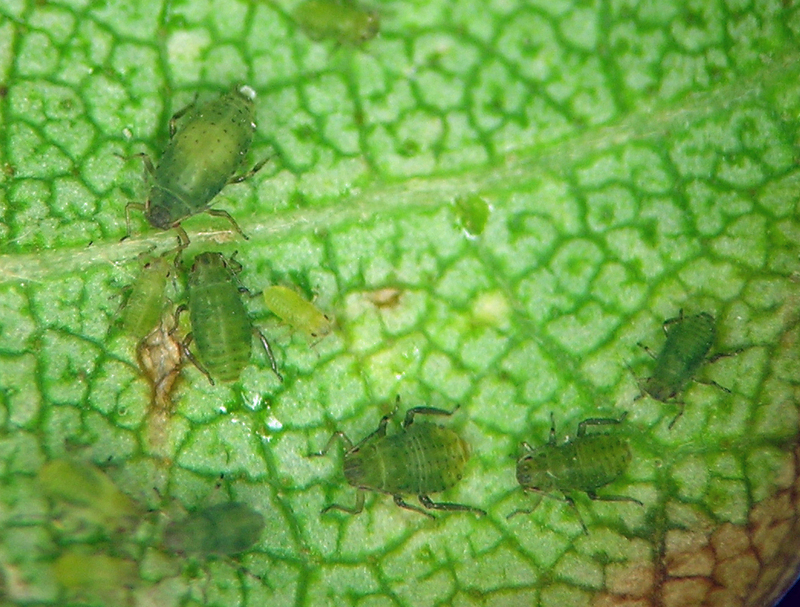 This aphid is known to be adapted to live in very small and tight spaces on Betula foliage such as unfurling leaves and in catkins. 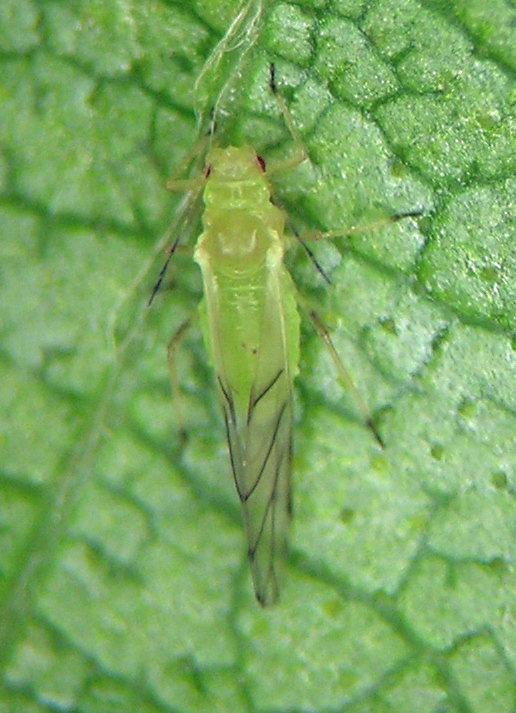 This aphid lives on our ornamental birch in Lakeview, where I collected the oviparae and males in 2015, and the alate vivipara in early 2016. I never did find any apterous viviparae, probably due to their cryptic habit. Callipterinella minutissima alate vivipara on our birch in Lakeview in May. 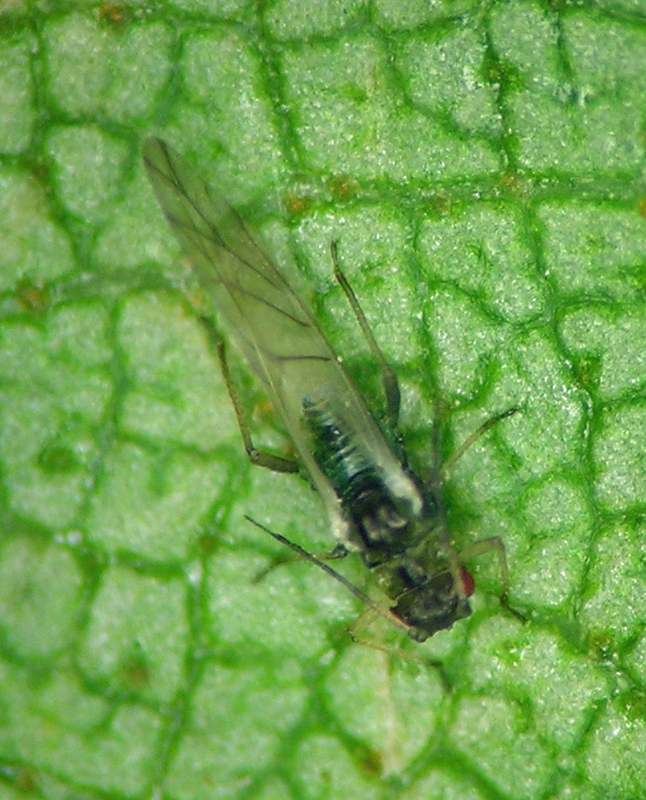 Callipterinella minutissima ovipara and nymphs.